I am temporarily homeless, crafting wise. 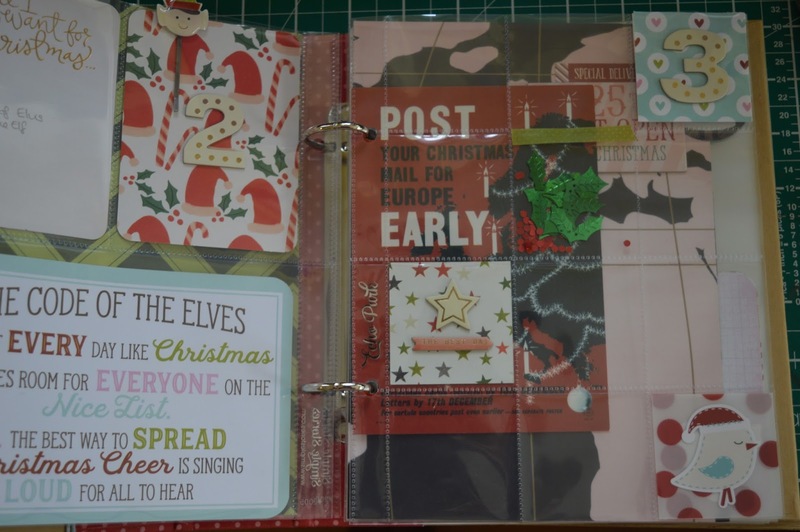 and make a start on the foundation pages for this year’s December Daily. 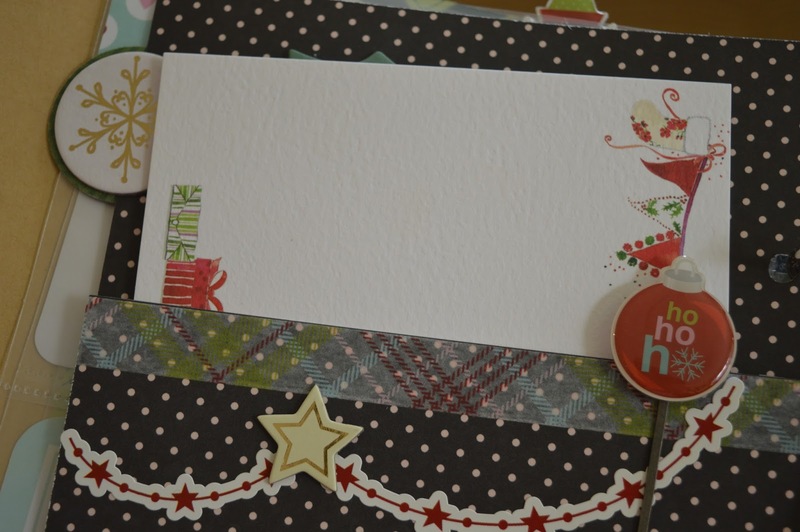 and the patterned paper is a mix of Echo Park and Simple Stories. and our annual Christmas drinks party. I’ve made a 6×8 pocket to house The Boy Child’s Santa letter (when he’s written it). The remaining days can be switched around to suit whatever happens on a particular day. 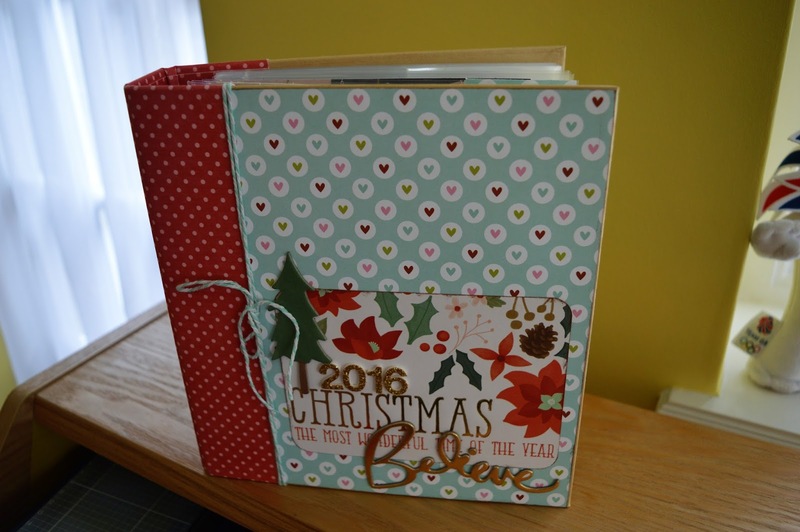 Looks great and very festive 🙂 – do you have a favourite supplier of your page protectors?? Oh this is one of my favourite projects to watch what everyone else creates. Ruth your pages are off to a great start. I like the star garland. It looks like you are off to a cozy Christmasy start. Enjoy the season and the documenting!! Looks good – I'm always impressed that you get so many small album projects done.